Nature is vast, and as with anything as great as nature, there will be some mind-boggling quirks. Scientists work to understand these things with the resources they have, and even though they have made fantastic progress over the course of human history, there still is a lot left unknown. Even some of the things scientists have figured out or documented are still hard to grasp and seem outlandish. When you think of nature, maybe you envision peaceful woods, a desert sunset, or the African Serengeti. You probably aren’t thinking of immortal animals, the mystery of the Cambrian explosion, or light pillars appearing in nature. Read on to find out about those and more. These plankton-eating sharks are the second-largest living fish and typically grow to be 6 to 8 meters (20–26 feet for you Americans) in length. The longest basking shark ever found was 12 meters (40 ft) long, the heaviest shark was found to be 21 tons, and the deepest these sharks have ever been observed was 1,981 meters (6,500 ft) down. Basking sharks have also been called bone sharks, elephant sharks, and (my favorite) big mouth sharks. They’re usually found traveling in groups, but some do travel alone. What’s scary is that these groups that they travel in can contain as many as 100 basking sharks. These sharks are actually gentle giants and aren’t dangerous to anything except for the plankton they eat to survive. 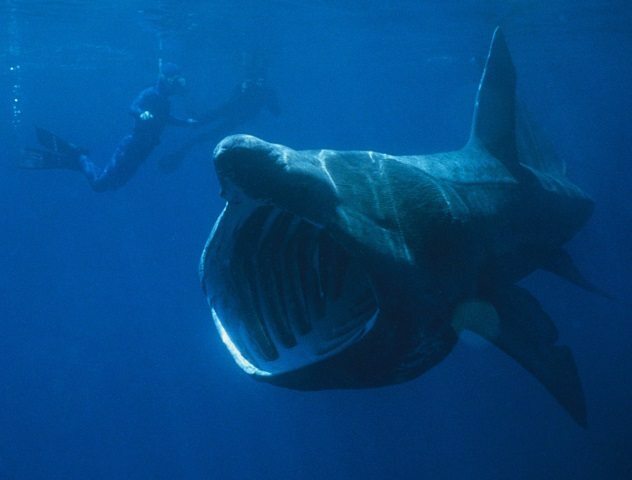 Basking sharks have been a target for hunters due to their large livers. These livers are used for a wide variety of purposes, from being used in lamps to the manufacture of cosmetics. What’s so mysterious about these sharks? Well, in every female basking shark, only the right ovary works. Even today, biologists don’t know why only one ovary is working. Rotifers, more commonly known as wheel animals, are microscopic animals that are commonly found in freshwater environments. 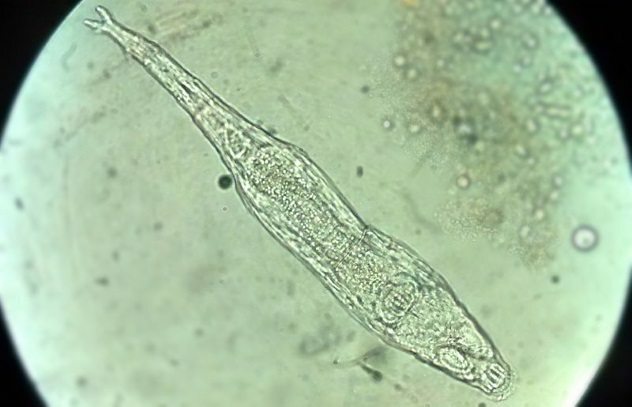 While some rotifers are independent, others live in colonies. Rotifers were first observed when early microscopes came into use, and since then, 2,200 species of rotifers have been described. Though these animals are small, they can filter 100,000 times their volume in water per hour and are often used in fish tanks to help clean the water in order to prevent contaminated matter from building up inside the tank. The mystery in this little guy comes from a little organ called the retrocerebral organ, which lies near the brain. The retrocerebral organ consists of a pair of glands on either side of a sac that drains into a duct. This duct divides into two before opening through pores on the uppermost part of the head. Confusing, isn’t it? Well, don’t worry if you don’t understand what’s going on; biologists are also baffled by the function of the retrocerebral organ and the process it triggers. Loricifera is a phylum of marine animals that was documented at the bottom of the Mediterranean Sea more than 3,000 meters (10,000 ft) deep. Members of this phylum are very small or even microscopic animals that live in sediment. The animals are usually found in the spaces between marine gravel or firmly attached to gravel at the floor of oceans and seas. They’re usually built with a outer case that protects their digestive system, head, and mouth. 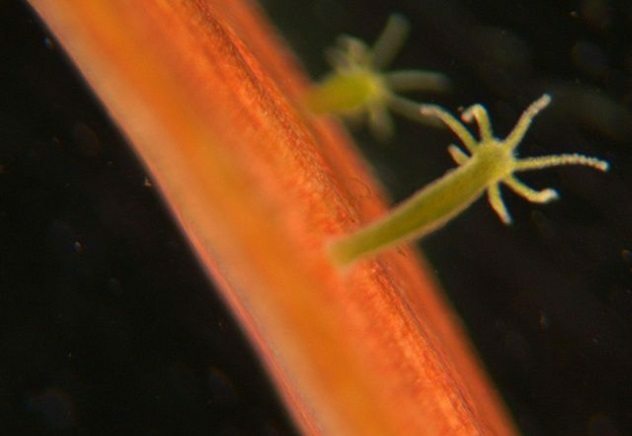 There are two sexes in adult Loricifera, and these tiny animals can reproduce through parthenogenesis. In other words, they can reproduce through virgin births. There are currently over 100 species of this phylum, whose size range from 100 micrometers to 1 millimeter. Now what’s strange about these guys? 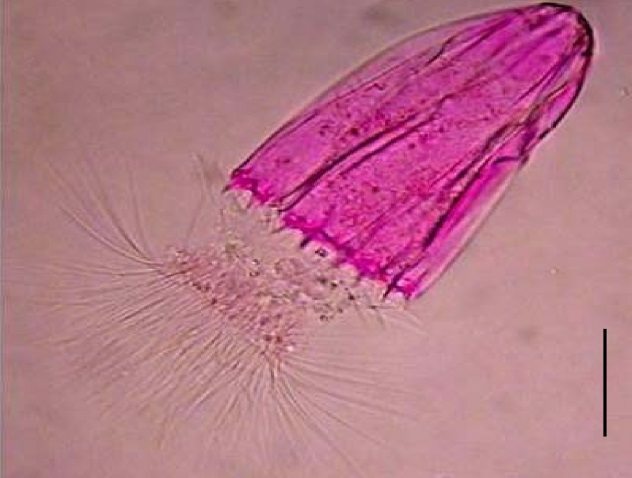 Well, this phylum contains the first known animal to exist in an environment without oxygen. That’s right, the area where some Loricifera were found had such a high concentration of salt that there was no oxygen. These environments are known as anoxic. Currently, there are three known species of Loricifera that are found in this kind of environment. Homing is the ability of animals to find their way back to a location. This location ranges from an area for breeding to an animal’s home territory. There are several kinds of homing. Magnetic orientation is when an animal uses the Earth’s magnetic field to find its way home. This is useful if you can’t see the Sun, like mole rats that return home through underground burrows. Another kind of homing is celestial orientation, which is used by marbled newts, which can only find their way home if the stars are visible. 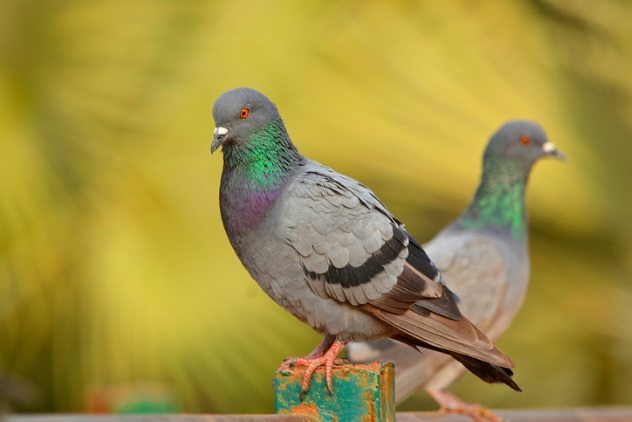 It has also been theorized that homing pigeons use low-frequency sound waves to create a map of their surroundings, allowing them to find their way home even when they’re miles away. Some animals use something that is known as true navigation. This kind of navigation utilizes landmarks like mountains, rivers, and the like to navigate through familiar territory. However, this means that true navigation does not work through unfamiliar territory. Sea turtles are known to use this kind of homing. Biologically immortal species are defined as species whose mortality rate does not rise after maturity. One genus of immortal animals is Hydra, which were first observed to not show any signs of aging in 1998 by a team of scientists. Hydra are tiny freshwater organisms that grow up to 10 millimeters in length and eat tiny aquatic animals. 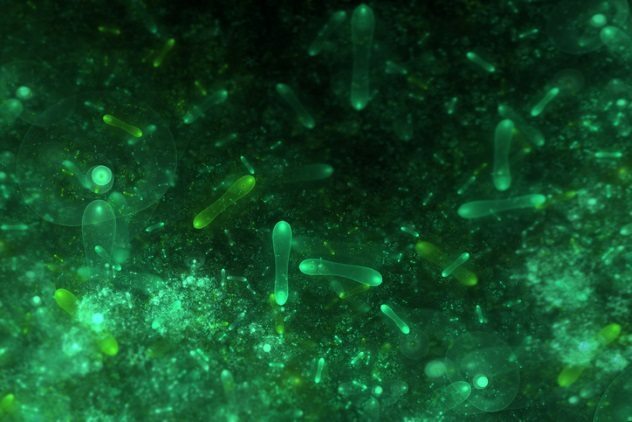 These tiny organisms look like a small tube with tentacles reaching out from one end. They appear to live forever and do not age. However, in the wild, Hydra should still be worried about diseases, predators, and contaminated water. All of these things could kill the biologically immortal Hydra, which can still succumb to other causes of death, even though it cannot succumb to age. Hydra are notorious for being comprised of mostly stem cells, cells that can continuously divide and differentiate into any possibly cell type, which gives them impressive regenerative abilities. These kinds of cells are only found in humans for the first few days after our conception and disappear after that. 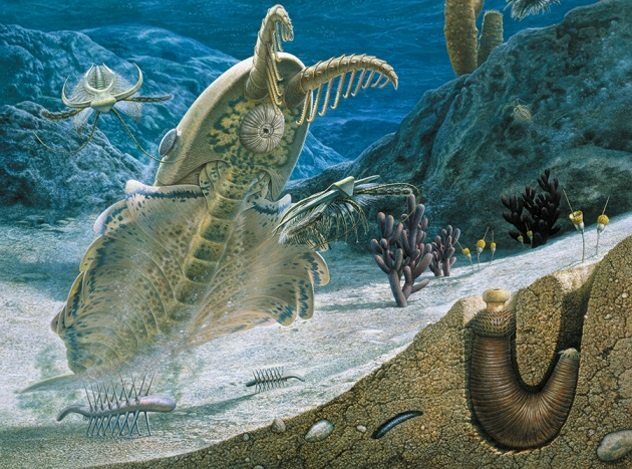 The Cambrian explosion, also known as the Cambrian radiation, occurred almost 541 million years ago, during a time known as the Cambrian period. Over the course of a few million years, an extremely short time from an evolutionary perspective, almost all major animal phyla came to appear in the fossil records, completely changing the biosphere forever. Before this explosion, the Earth almost exclusively consisted of plankton, bacteria, and algae. After the explosion, the emergence of more complex and a larger variety of animals led the ecosystem to become more nuanced. For example, predation came into the ecosystem due to the Cambrian explosion. However, we don’t know for sure why this explosion happened. Some scientists believe that a slight increase in oxygen was the tipping point that led to the surge of species. Oxygen is required for processes like metabolizing food, and oxygen releases more energy than the anaerobic ways most species had been living during that time. Thus, if there was a sudden increase in oxygen levels, the development of more complex and energy-intensive organisms would have been facilitated. Everyone knows what sleep is, right? The naturally recurring state that typically leads to altered consciousness, lack of muscle movement, and almost no sensory activity is one that humans usually spend one third of their entire life in. But this must seem strange, right? In the wild, being completely vulnerable to attack for large chunks of time seems as glaring a weakness as the thermal exhaust port in the Death Star. In humans, adequate sleep has been linked to improved memory, longer life, less inflammation linked with heart disease, diabetes, arthritis, and strokes, increased creativity, better grades, improved attention, less stress, and lower rates of depression. There are so many benefits of sleep that it deserves its own top-ten list. However, it is still unclear why we evolved to sleep in the first place. Theories include forging new neural connections to filtering out old, unused, and unimportant ones. All of these theories, though compelling, are not always completely supported by empirical evidence. 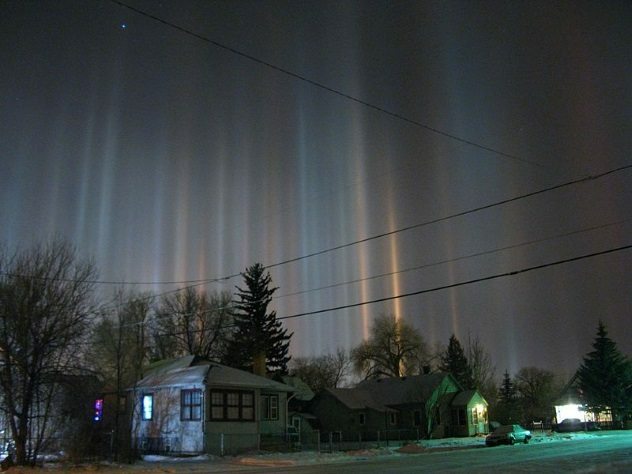 Light pillars are an extremely elegant phenomenon where vertical bands of light appear from a light source. This effect is caused by the interaction of light with ice crystals that are in the atmosphere or are suspended in the clouds. The prominence of the light pillars has a direct relationship with how large the crystals in the atmosphere are. In other words, the larger the crystal, the more pronounced the light beams become. Common sources of light are the Sun, the Moon, and streetlights. These dazzling spectacles have been known to appear during sunrises, sunsets, and at night in places like Northern Ontario, Alaska, and even Arizona. Pillars caused by artificial sources like street lights are often taller than light pillars caused by natural sources like the Sun, which creates a phenomenon known as sun pillars or solar pillars, and the Moon. The pillars you see aren’t actually over the lights as they appear to be but are optical illusions like halos. Neuroplasticity is defined by neuroscientists as the brain’s ability to change. This attribute of the brain is fundamental to its development as well as its decline. How does the brain change, exactly? 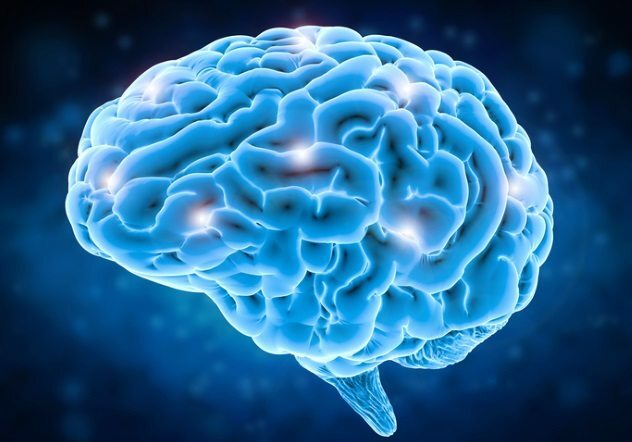 Well, gray matter either thickens or shrinks, allowing for neural connections to be forged, refined, weakened, or severed. These changes that take place in our brain alter the way we think and even our abilities. This process occurs in things like learning a new dance step or learning the route to work. It is also seen in other, sadder things like forgetting someone’s name or your mom’s number. Neuroplasticity is present at every age. One amazing example of neuroplasticity is in London cab drivers. It has been reported that learning all the streets of London and constantly navigating them has changed the structure of the cabbies’ brains. A novice cab driver’s brain is radically different from an experienced cab driver’s. Hefty topic, isn’t it? Abiogenesis, also known as the origin of life, is the process where life arises from nonliving matter like the organic compounds found on Earth. The transition from nonliving to living isn’t a single event but took place over billions of years, and we’re still trying to figure out how it happened. There are many theories as to how this occurred. One is that when the Earth was covered in ice, the ice protected the compounds from the Sun, allowing for complex interactions between said compounds, leading to life. Lightning is another theory. Electricity produces sugars and amino acids from elements in the atmosphere, and a lightning strike on a rich volcanic cloud could have lead to life. Clay is another popular theory. Clay could have been an area of concentrated chemical activity allowing for the rise of life as we know it today. A new theory by physicists is that life was inevitable because a system, when surrounded by energy, would evolve to be efficient in dissipating energy, and atoms will organize to serve this purpose. This reorganization and increased energy dissipation would eventually lead to life. Kevin is currently studying Computer Science and Mathematics with a minor in Science Writing. He is an avid programmer, tinkerer, and technology enthusiast. In his free time, he likes listening to podcasts, playing the piano, and painting. Read more about the vagaries of nature on Top 10 Unexplained Phenomena From Nature and 10 Strange Electrical Phenomena Found In Nature.